For the second time in as many months, Republican lieutenant governor candidate E.W. Jackson has submitted required state campaign finance reports that fail to properly itemize individual contributors to his campaign. That accounted for 41 percent of the $118,508 he reported in total contributions from May 30 through June 30. Jackson reported $90,025 on hand as of July 1. His Democratic opponent, state Sen. Ralph Northam, reported raising $226,412 during the period, with a $106,184 cash balance. "The campaign is well within the grace period. There is nothing improper here. We are currently in the process of making an addendum to the filing," a campaign spokesperson told News4 Wednesday. Jackson's campaign paid a $100 fine a month ago for tardy filing and improper itemization of campaign donation reports covering April and May. In it, he also failed to itemize donors of $100 or more. He amended the report and filed a corrected version two weeks later. Sheridan said the board will ask Jackson again to fully disclose his donors. She said state law gives the board authority to review Jackson's filings and to allow his campaign time to amend the report without penalty, but failing to do so in a timely manner is punishable by a fine of up to $1,000. 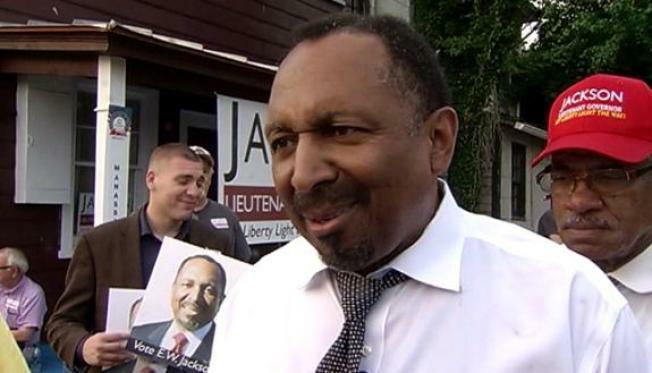 Jackson, an outspoken Chesapeake minister, surprised many when he captured the GOP nomination at a convention dominated by conservatives in May. He has drawn heavy media coverage for various statements, including accusing Planned Parenthood of being more deadly to African-American lives than the Ku Klux Klan because of the number of abortions performed on black women. His convoluted campaign finance reports come in a time of heightened scrutiny over money in Virginia politics with federal and state officials investigating Gov. Bob McDonnell for thousands to dollars' worth of gifts to his family that were not disclosed on annual statements of economic interest required of all Virginia state officeholders and candidates for elected office.